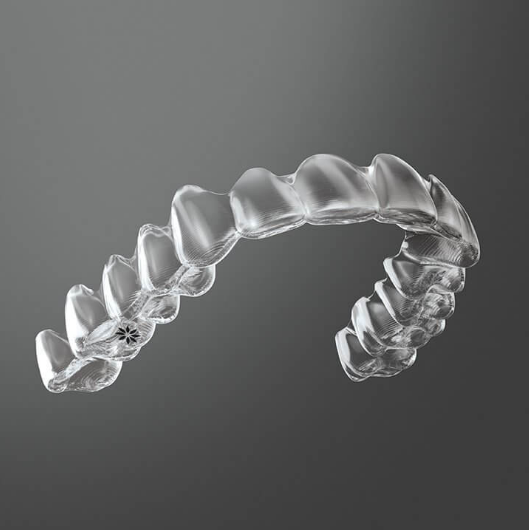 The world’s leading clear aligner Invisalign® treatment transforms smiles through pioneering research. Behind every clear aligner is an industry-leading team of engineers and scientists who are continuously innovating to improve your path to a beautiful smile. See how cutting-edge technology and data from millions of smiles can transform yours. World’s largest user of state-of-the-art 3D printing technology 450+ patents for industry-changing technologies 6 million smiles transformed, including 1.4 million teens We turn research and insights into new ways to shape more smiles. More comfortable and better-fitting aligners1 New aligner features to treat more kinds of cases New ways to plan and control tooth movements Moving orthodontics into the digital age since 1997.